Today I'm linking up with the hilarious Erin to tell you what I'll be doing in this year of my life! Take your age, make a list with that many things and go link yourself up! 1. Actually use my Zumba Instructor License. What better way to make money than stay fit and teach old ladies to shake it to Latin music? 2. Take an impromptu weekend trip to Key West and clap at the sunsets. 4. Get my hunky boyfriend to put a ring on it. Just an idea. 5. Perfect the Southern girl hair tease. That's what Florida girls do, right?! 7. Become okay with the whole Dom joining the Navy after medical school thing. Yes, I'm proud and supportive and all that jazz. But mostly, I'm scared. Why doesn't anyone ever admit that? 8. Become a master mixologist. 9. Learn to cook well and enjoy it. Like a good Italian wife would. 10. Get to 500 GFC followers. 11. Find my bloggy niche. A few months in and I'm still trying to figure out my voice and get into the blogging rhythm, if you will. Hopefully I'll figure that out so those 350 followers I need for #10 will come running! 15. Have Dom come home from a long day at med school to a big traditional Italian meal that actually tastes good. Will prompt #4. 17. Travel to at least 1 new country. Or 10. 18. Strengthen my relationship with God. Although getting up in a frat house at 8am after a Saturday night party to go to church should have gotten Dom and I a lot of brownie points. 19. Learn to use my DSLR and photoshop that's been on my shelf for half a year. 20. Start attempting to have a healthier diet. To counteract all the fancy drinks I'll be mixing up and the wine from my club. 22. Go to Disney for the first time. Don't make me wait until I have babies! Oh you should definitely go to Disney! now. Before you have kids. Love your list. Don't become Emily Maynard.. bless her heart, I love her-- but I think you're cooler!!! I'm still trying to find my bloggy niche too- let's help each other, lol!! Maybe come up with a cool link-up we both do?! 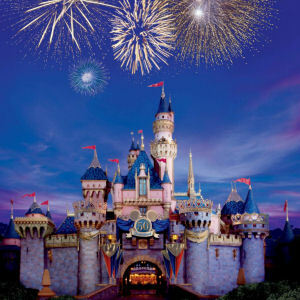 ALSO- We just started planning our disney vacation for next spring!! I haven't been in 10 years and my husband has NEVER been. I'm totally pumped. I think it's def something you need to do once without kids!! But coming from a pro "DisneyLander" (I go once every year), I would wait until about late Ocatober, Early November. It's not as packed as it is during the Summer or Christmas time! Also because they are almost done with the expansion of Fantasy land!! What part of florida will you be moving to? North Florida, Central Florida, or South Florida? You have never been to Disney!! GO GO GO!! Especially before kids! That way you can do all the fun stuff! And how fun about your Zumba! North FL is the best part of FL, IMHO :) That's where I'm from... I'm a Florida State alumni, so I would definitely tell you to pick FSU (Seminoles) to cheer for. Our football team is gonna WHIP the Gators this year!! I LOVE your list! #7 really hit home for me. My boyfriend is in the Army and is facing a deployment next year sometime. Yes, a full year away and I'm already sad and scared. Sometimes the thought of being so scared is overwhelming. Of course I'm proud and want him to feel successful in his career--but selfishly, I'm terrified of the unknown. You'll never read that on any website and I'm not quite sure why people are afraid to admit it. I'm right there with you!! Great list! I agree with Erin... maybe we should do a fun link up to help grow our blog! And I'd totally join a club to drink with you... DAILY. HA! kidding. don't worry...my husband has been in the Marines for three years and it still scares me sometimes! love your list! & I'm from Florida!! :) Haha new follower, such a cute blog! I just found your blog. I'm a FL girl too. Born and raised in the West Palm area. If you are going to pick a football team to root for, you have to pick the best...the Florida Gators!! I also agree with a previous commenter that the best time to visit Disney is Oct/Nov. Go to Epcot for the Food and Wine Festival. Good luck with your move.